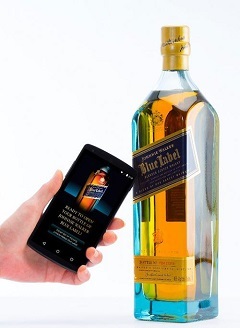 I have about twenty different things I hate about this idea that Johnnie Walker will be doing with the Blue Label bottle. The gist is that they’ll be sticking a sensor tag on it that uses near field communications to talk to your smartphone (in reality, your phone is sending out signals and this label will respond). They claim that this is good for the buyer because you can tell if the bottle has been opened, how long it’s been opened for, and, oh yeah, you can get personalized promotions, cocktails, and communicate with Diageo. Personalized promotions, eh? Those are called ads. I don’t need more ads. As for making sure my scotch has never been opened? I’ve never had that problem before. I’ve never purchased a bottle and discovered it was already opened! 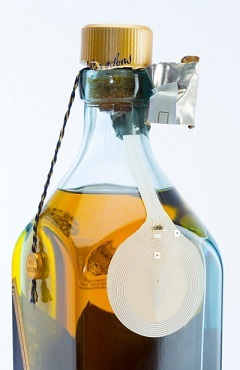 And if you look at the image of the label, the “has it been opened” before test is whether the wire on the top part of the sensor has been broken (thus giving a different signal). It seems pretty easy to defeat since the wire doesn’t go over the top of the bottle. This reminds me of the dot com boom when every company decided to throw “dot com” at the end of their name because it tripled their valuation. Apps are hot right now, very hot, and it seems like everyone wants to figure out a way to use technology… even if it’s the wrong way. I’ll tell you what though, I like the technology behind it, I like the innovation and the thinking that led to this (because it leads to more experimental ideas). I don’t think I’ll be installing an app but the sensor on the bottle itself doesn’t bother me. Hat tip to Gary G. in our Facebook group for sharing this! 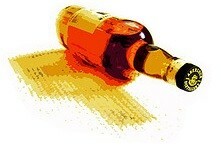 This entry was posted in General and tagged Diageo, Johnnie Walker by Jim. Bookmark the permalink. There’s something “old” and traditional about enjoying a good glass of scotch that seems awkwardly inappropriate with this idea. It’s a perfect demonstration of technology solving a problem that doesn’t exist!